Bob Sass – Flugel Horn, Trumpet, sax etc. 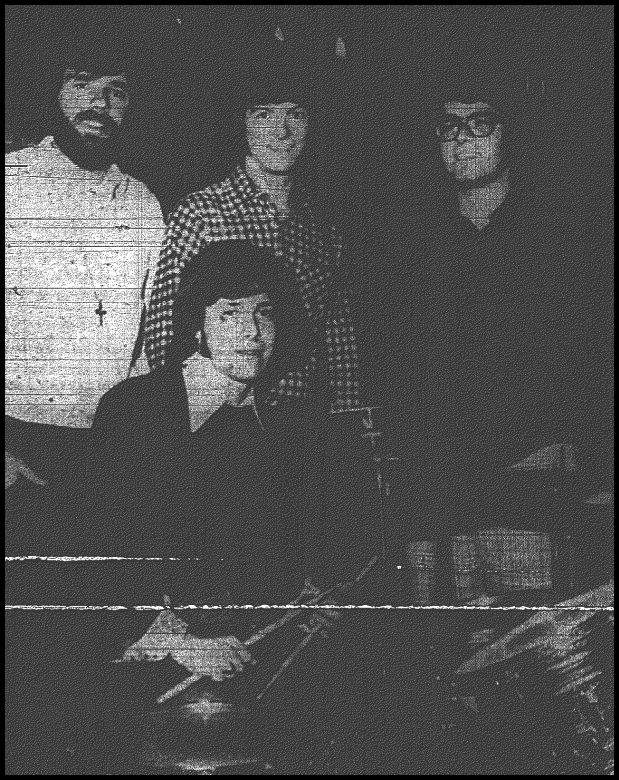 Notes: The band performed around 1967-68 and had a four piece horn section. Anyone with further info or pictures, please visit our contact page or leave a message at the bottom of this page. Thank You. The group plays at Church functions from Windsor to Kingston. The band began playing at the Victoria Avenue United Church in Chatham. The photo was taken by a CDN staff member. The original photo can be viewed in the Dec.31st 1973 issue of CDN, at the Chatham Public Library. Note: This End Up has been together since 1989, with a few member changes over the years. 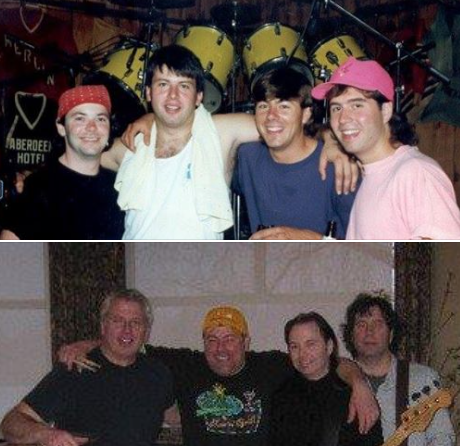 Jeff (the original drummer) left the band for a few years but is now back with his buddies. Mike would later form a spin off of this band known as “Toast & Jam”. They are an acoustic duo performing your favourite songs in pubs and beach area’s in Ontario & Nearby sunny american places. Good fun. You can keep a look out for them at Jersey’s in Chatham. 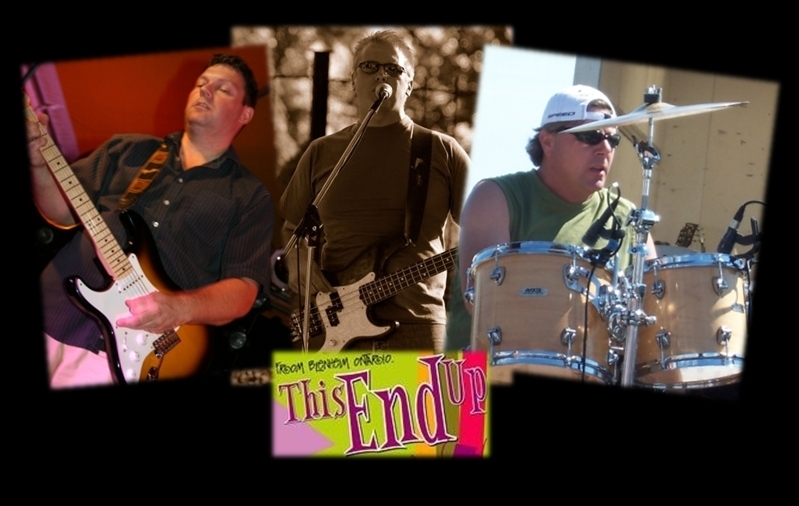 Update: ‘This End Up’ put on a reunion show on Sept. 4th 2015 @ at a Blenheim Golf & Country Club. 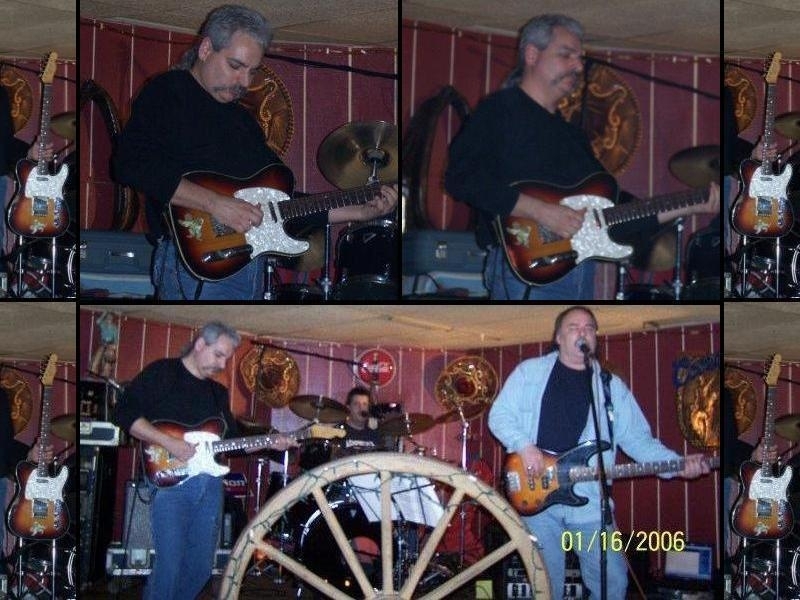 Their very first gig was April 21, 1989, at the very same place. Scott and Cathy are from Windsor. 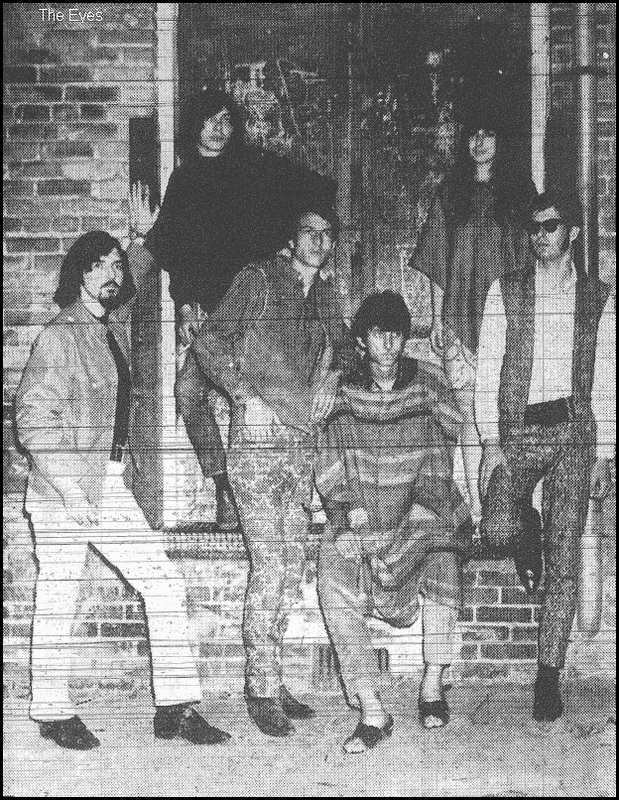 The group’s first show was at the “Empty Bottle” in Tilbury, followed by several high schools and teen dances. The band was also known for their light show they put on. Click on above pictures to enlarge them. 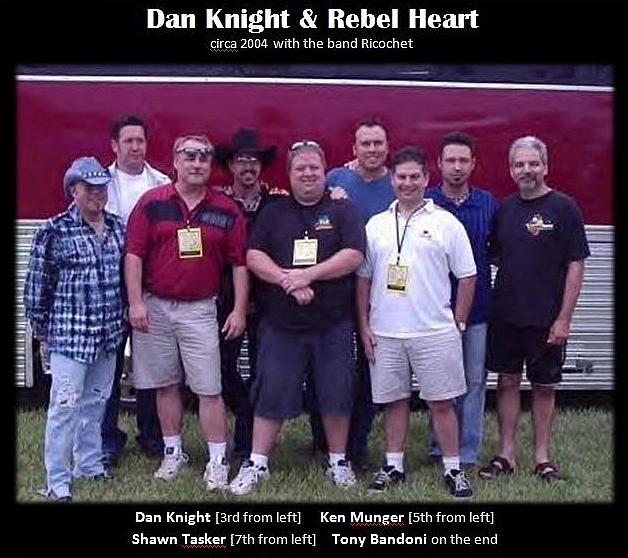 Rebel Heart is a high energy, variety band with deep roots in R&B, rock, and country. The band contains four members. 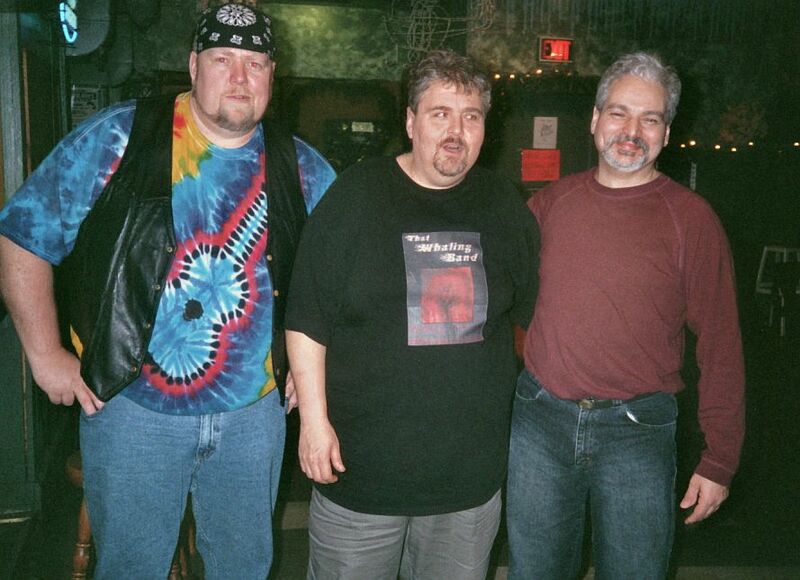 The band has toured across Canada and the United States for more than 12 years and has played at some of both countries hottest clubs, including Laughlin, Nevada at the Riverside Casino, Miss Marquette Casino in Iowa, and several other casinos throughout the U.S.
Dan Knight, Ken Mungar, Tony Bandoni and Shawn Tasker are a dynamic foursome. They deliver enthusiasm and enjoyment to all of their music. Their styles and experiences combined make them the hot act they are and enable them to present versatile arrangements of old classics, through to the contemporary music of today. Dan Knight is a rockin’ guitarist providing lead vocals to the band. Dan has been running a family business which has given him the time to write and produce the quality material that he is used to creating. In 1987 he had a release with the song “She Lives In a Big House”. 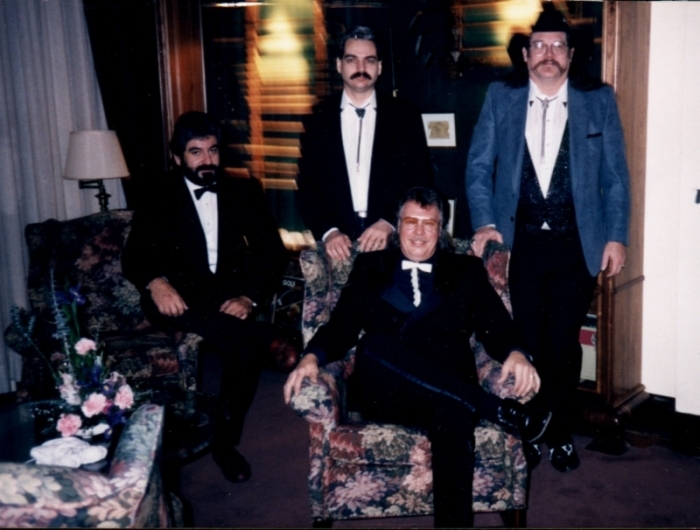 Although most of Dan’s accomplishments have been on his own, he spent nearly three years with music artist Joe Firth where he performed at some of Canada’s finest rodeos (Ponoka Stampede, Calgary Stampede, and Klondike Days) and has opened for the Canadian Music Hall of Fame. 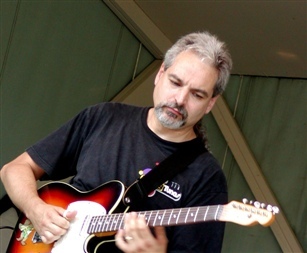 Tony Bandoni is fret board rippin’ lead guitarist. Being one of Canada’s hottest lead players, Tony has been nominated as Canada’s instrumentalist of the year on three separate occasions. His portfolio includes Michelle Wright and Ronnie Fray. Shawn Tasker is the youngest member of the band whose abilities shine as an enthusiastic drummer and vocalist. He has previously played with blues artist: Robin Banks, and country artists: Lorie Scott and Marshall Law as well as The Terry Ashley Band. Ken Mungar is a groovin’ bass player with strong lead vocals. Ken has played with bands like the Rodriguez Twins, Charlie Clements, Dusty Wayne, The Concrete Cowboys and now Rebel Heart. Along with their good humor and enthusiasm, both on and off stage, Rebel Heart performs up-tempo, toe-tapping music along with emotionally charged ballads, leaving audiences feeling fully entertained. 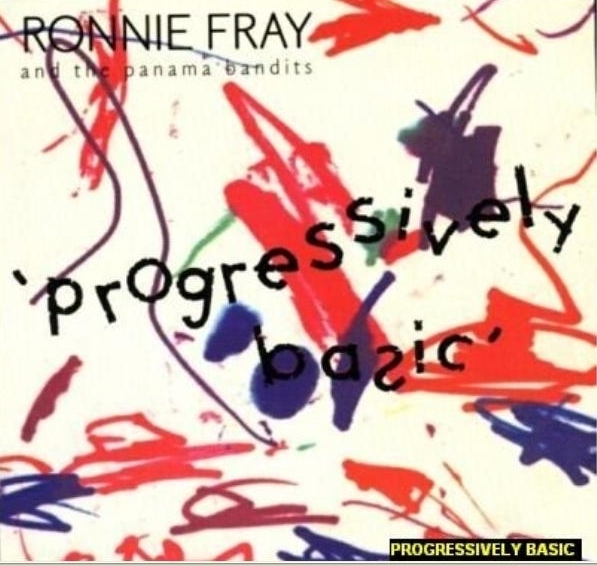 Full Name: Ronnie Fray and the Panama Bandits. 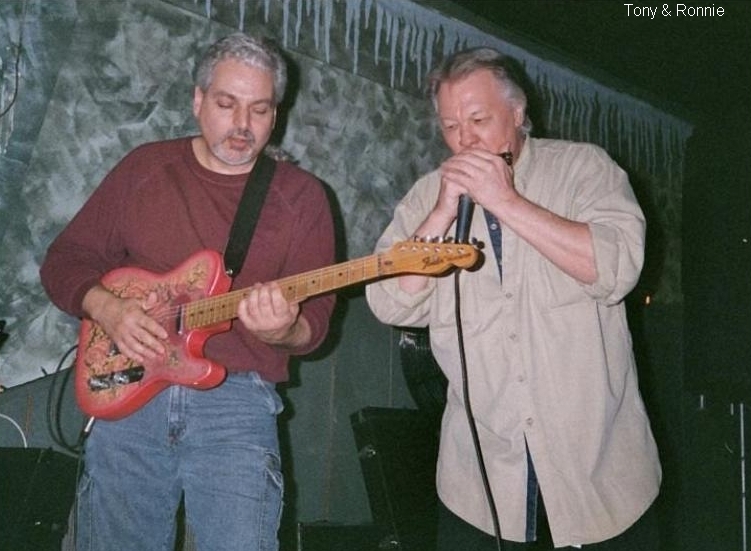 Tony Bandoni is fret board rippin’ lead guitarist. Being one of Canada’s hottest lead players, Tony has been nominated as Canada’s instrumentalist of the year on three separate occasions. His portfolio includes Michelle Wright, ‘Harvest’, and ‘Deborah Laurie and the Marble Heart Station Band’. Billy Heater – harmony vocals. Below is a video of Tony’s great guitar talent. This video is from circa 2007. Notes: Tony & Phil are great musicians from Chatham who have played in many bands over the years. Below, is a video of The Twang Bastards. You are currently browsing the Chatham Music Archive blog archives for January, 2010.